We’d love your help. Let us know what’s wrong with this preview of The Lost Queen by Mark Miller. To ask other readers questions about The Lost Queen, please sign up. This is the second book in series about Empyrean, the complex kingdom that Mr. Miller has created. A wonderful sequel, it is infused with the same kind of magic that the first book in the series had, making it a good choice for all ages. The characters truly shine in this one. They jump off the page, with Zandria leading the way. We are introduced to the Skiordan people, shadow characters of the Peckwood forest as well as Raymond Shaydaway, a fantastic villain who seems to steal the scenes he app This is the second book in series about Empyrean, the complex kingdom that Mr. Miller has created. A wonderful sequel, it is infused with the same kind of magic that the first book in the series had, making it a good choice for all ages. The characters truly shine in this one. They jump off the page, with Zandria leading the way. We are introduced to the Skiordan people, shadow characters of the Peckwood forest as well as Raymond Shaydaway, a fantastic villain who seems to steal the scenes he appears in. His Carnivale Chaotica creates a great atmosphere, making the book a bit darker than the previous one. The writing is clear, well-structured, with very few errors, which makes for a pleasurable reading experience. There is a musical quality to the way Miller writes that makes the reader want to pick up more of his books. Something else that should be considered is that these books have very strong female protagonists, none of the wimpy ones we see too often nowadays, so it’s a great choice for teen girls. I can easily and happily recommend this book to everyone who likes a well-thought out fairy tale in a truly magical kingdom. More often than not as story has a tendency to peter out as the tale continues in book sequels. Not so with the second book in The Empyrical Tales. 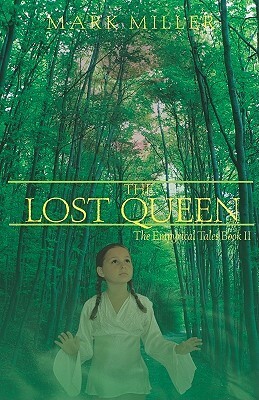 Suspenseful and even a tiny bit creepy at times, like all good fairy tales should be, The Lost Queen is packed with in depth story telling and fast paced action as our little Zandria heads out to fulfill her quest. This book just zips along,never leaving the reader wanting. The storyline already established from the first book, The Fourth Queen,this one picks right up where the other left off. Im fast falling in love with the creatures and characters Mark Miller has created. From the Skordians to our little "Doc",the dwarf,and even our villian,Raymond Shadaway, its hard for me to pick out a favorite! I guess Ill have to keep reading! I just won a copy from Goodreads. Looking forward to reading it. I will write a review after I've read it. Thank you. "I will read this book because of Goodreads First Reads." The Secret Queen (The Empyrical Tales #3)"
Mark has written numero Originally from Kansas, Mark has lived in Florida since 2006. He has achieved some success as a Kindle Best Seller and having one of his short stories selected as a winner in the Florida Writer's Association Short Story Collection.